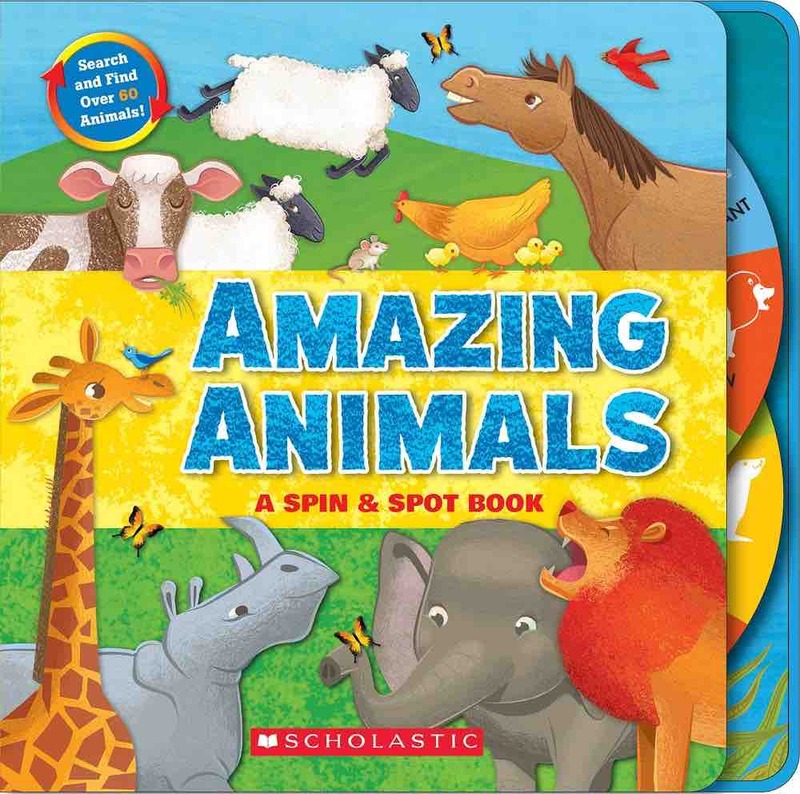 More than 60 animals come to life in Amazing Animals, the first book in Cartweel Books’ new Spin & Spot series. A spinning wheel on every spread helps guide readers as they search-and-find specific animals in their environments. The eight spreads range from the arctic and the African savannah to a farm and the forest. Each spread features eight “hidden” creatures. The illustrations in Amazing Animals are really cute as is the sparse accompanying text. My daughter loves this book, especially spinning the wheel. But she just turned 3 and it’s already a bit too simplistic for her. Within a month or so, I think she’ll outgrow it for good. I’d recommend starting as early as 18 months with this one.